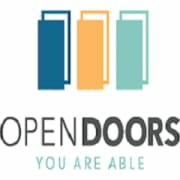 Open Doors Circles weekly meetings on every Thursday need volunteers to help with dinner and projects for the nights agenda. There will also be a need after the nights dinner for light cleanup vacuuming, sweeping etc. Needs may also arise for other basic necessities as well. All help in this area will be basic and similar every week. Dinners for our group: Open Doors Circles provides dinner for our participating famillies so they have one less thing to worry about and can commit to the class. Any help with obtaining food stuff to help provide these weekly dinners is needed as well.